San Diego, CA – Ace Parking, nationwide parking innovations and solutions provider, has partnered with Monarch Beach Resort in Dana Point, California. Monarch Beach Resort is a 400 room, AAA Five Diamond-rated luxury beach resort in Dana Point, California. The resort features private beach club access, sparkling pools, a Miraval Life in Balance Spa, Gold Medal oceanfront golf and eight restaurants including the all new Bourbon Steak Orange County by Michael Mina. Its signature warm beach house hospitality has earned Monarch Beach Resort a #1 position on Trip Advisor for 22 consecutive months. Ace Parking will provide first-class management of the valet parking operation, as well as ambassador and tram services for the hotel. The property’s tram provides transportation for guests and members of the Club at Monarch Beach to and from the resort’s golf course, Club 19, botanical gardens and lawn, and Monarch Bay Club, a private beach for members and guests. Ace will bring innovation and service to the valet parking operation with the implementation of Flash Parking’s handheld valet technology that will enhance the guest arrival and departure experience. Additionally, all frontline team members will be trained in a Forbes-based training program. 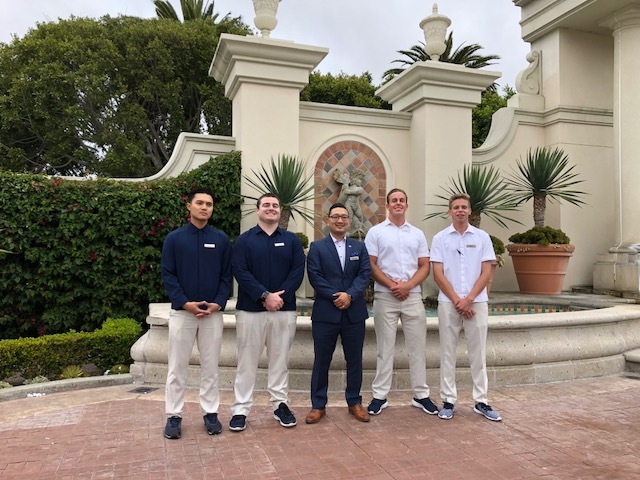 “Monarch Beach Resort has truly redefined what a luxury hotel is, and it is a true honor to be selected as their partner to provide a level of service their guests expect,” said Keith B. Jones, third-generation owner and managing partner. “Ace’s service approach is centered on training and the use of innovation to create an amazing experience for the hotel guest. Ace Parking currently operates in 31 markets across 11 states and employs over 4,000 team members. Other luxury destination properties managed by Ace Parking in Orange County include the Hyatt Regency Huntington Beach Resort and Spa, The Waterfront Beach Resort, a Hilton Hotel Huntington Beach, Paséa Hotel & Spa, Hyatt Regency Newport Beach and the Irvine Spectrum Center.